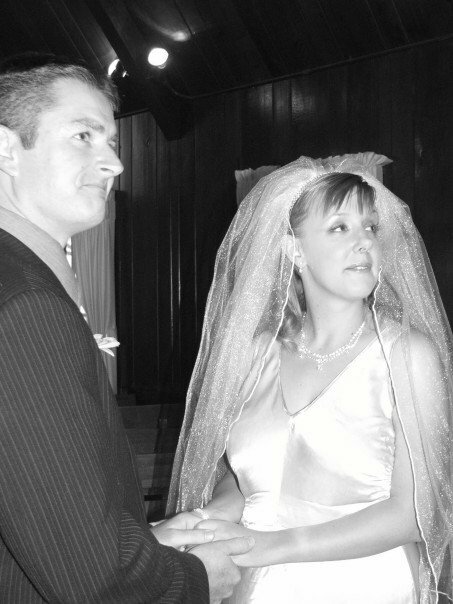 Today (give or take allowances for time zone differences) marks the 10 year anniversary of our Las Vegas wedding, so I thought I'd share the story of the day with you. We decided to get married overseas to avoid some family-related awkwardness and at first, were considering Gretna Green in Scotland. There were some issues surrounding administrative red tape and it was all starting to feel a bit too complicated and expensive when the Vegas idea came up. We had already visited a few years prior on a Contiki tour, enjoyed it and knew it was a fun place to visit, not to mention much more affordable. I did a lot of online research to find the perfect venue. I wanted something with a bit of history that looked reasonably elegant, no plastic archways or neon hearts, that was also affordable. I found the Little Church of the West online, booked their civil ceremony and we were all set! The package included a boutonniere for my husband and a bouquet for me where you could request favourite flowers (I asked for gerberas which led to mild confusion as they are called gerber daisies in the US so I had to send a picture through) and also a limo pick-up from our hotel. 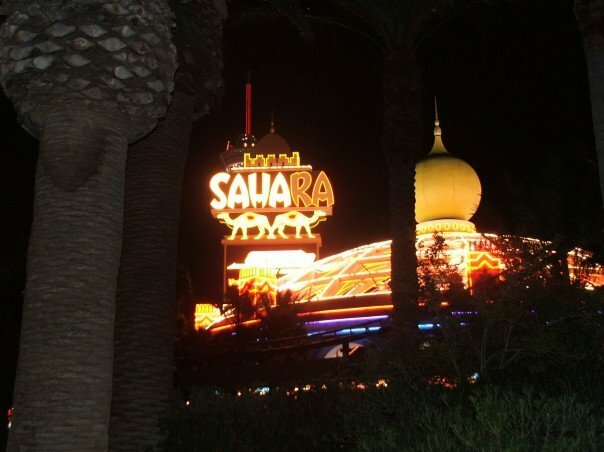 We were staying at the Sahara which is sadly no longer with us but was another choice based on history and character. Speaking of history, I wore my grandmother's wedding dress that had been altered and tailored for me. 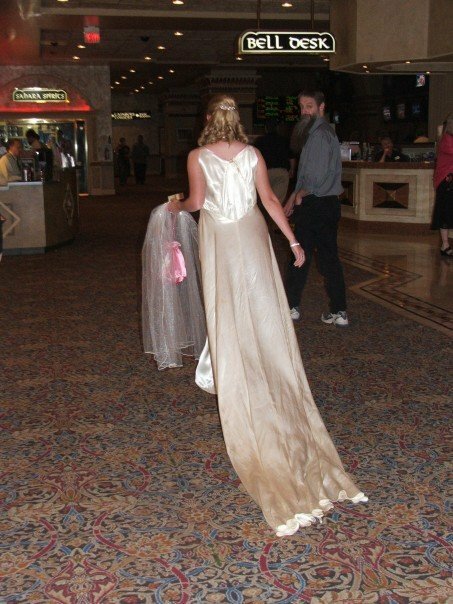 Having bought my sister's bridesmaid dress and my shoes the night before at Ross Dress For Less a little way down the strip, the day dawned and my husband-to-be was summarily dismissed from the hotel room so we could begin preparations. Mum had arranged for two hair and make-up artists to prep us in the room and we enjoyed bubbles and breakfast as we got ready. (Meanwhile husband-to-be and the best man were at McDonald's). The two girls were lovely and we had such a great time getting done up (first experience with false lashes!) and just chatting to them. There was a slight delay on the promised limo owing to the De La Hoya vs Mayweather boxing match occurring at the MGM Grand at the same time but it happened and of course, we were totally chill about our first ever limo ride . . .
Side note: Australian band Jet were playing on the radio! Rock on! Meanwhile the groom and the best man had hopped on the monorail and availed themselves of light refreshments at the Mandalay Bay. Upon arrival, we had to hang in the car park for a little while, waiting our turn and then it was time to go in. I handed a CD to the assistant and walked down the aisle to Bittersweet Symphony by The Verve as a pianist played along to it live which was cool. Until the song ended AND HE FREESTYLE SEGUED INTO "CLOCKS" BY COLDPLAY. Now, if you know me, you know Coldplay is one of my most loathed bands of all time (despite the fact I think Chris Martin as a person is quite cool and has a good sense of humour, it does not translate into his music). So we're doing all the "do you take this man" etc and I'm thinking "COLDPLAY THO?!?!" The plan was to have the webcam option so family and friends could watch back home. Unfortunately, this didn't happen which was really disappointing. However we did get the video as a souvenir which was handy as it shows the ceremony going for about 6 minutes although it didn't feel rushed. And you can see my face when I realise Coldplay is happening. Afterwards, the limo driver gave us a sneaky free lift back to the Sahara although he wasn't meant to (Australians are so loved in the States, people just take to you) and we strolled around the casino floor in our garb for a while, playing pokies and getting free drinks, as is the style in Vegas. 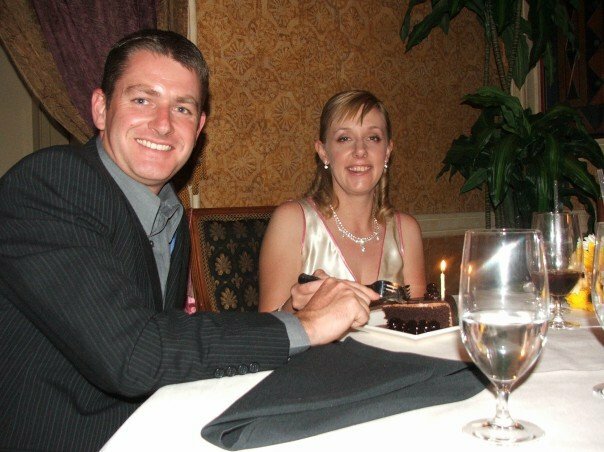 For the wedding dinner, we went to the House of Lords restaurant in the casino where we had a delicious meal and were given free dessert. 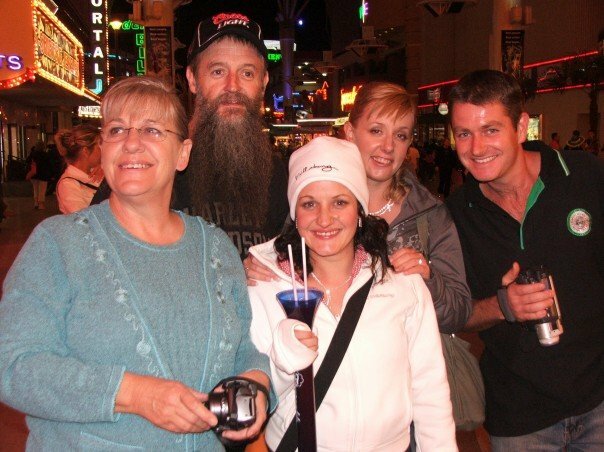 A costume change into regular clothes and we were ready to hit Fremont Street and party the night away! You can't just roll up somewhere and get legally married so all the TV shows and movies that show a drunken Vegas wedding are totally lying to you. Before the ceremony, you and your intended have to roll down to the Clark County Marriage Bureau with your ID, fill out a few forms and pay some cash to make it legit. 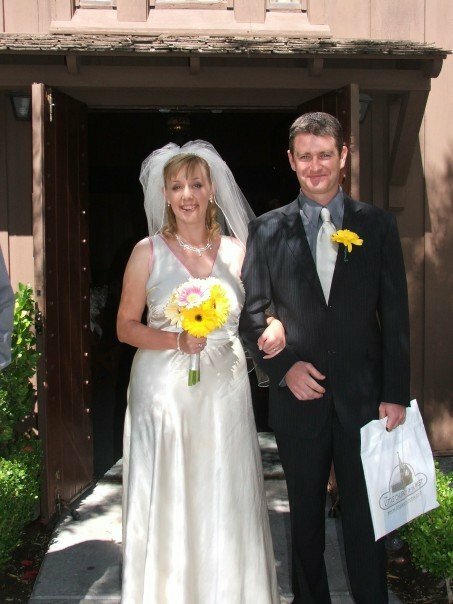 The marriage is legal and recognised in Australia HOWEVER your marriage certificate from the chapel is not sufficient proof of identity to change your name legally in Australia. Which was news to me when I rocked up at Services SA to change my licence even though the bank took it as acceptable. So I had to change my name by deed poll to legally take my husband's surname. Elvis is not a mandatory requirement at a Vegas wedding but EVERYONE will ask you if you were married by Elvis. Fun fact: in the movie "Viva Las Vegas", Elvis marries Ann Margret . . . at the Little Church Of The West! 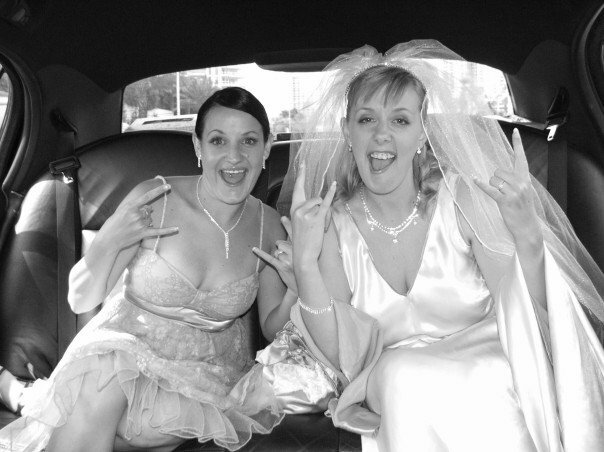 Over 300 weddings a day take place in Vegas. A DAY. So you will see many other people in wedding outfits in your travels. People are still nice and treat you like you're special though. Would you consider an international wedding or vow renewal?